Be sure to stop by the NBC Bay Area pavilion at the Fremont Festival of the Arts on August 5 and 6. In partnership with Subaru, you can get your own Subaru Loves Pets dog tags customized for just a $1 donation to the Tri-City Animal Shelter! Learn all about adopting a pet, as volunteers will be at the booth answering any questions you have have about pet adoption! For more info on #SubaruLovesPets, click here. 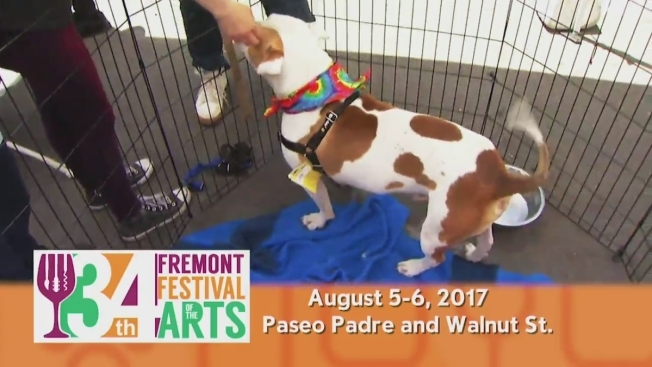 For more Fremont Festival of the Arts info, click here.